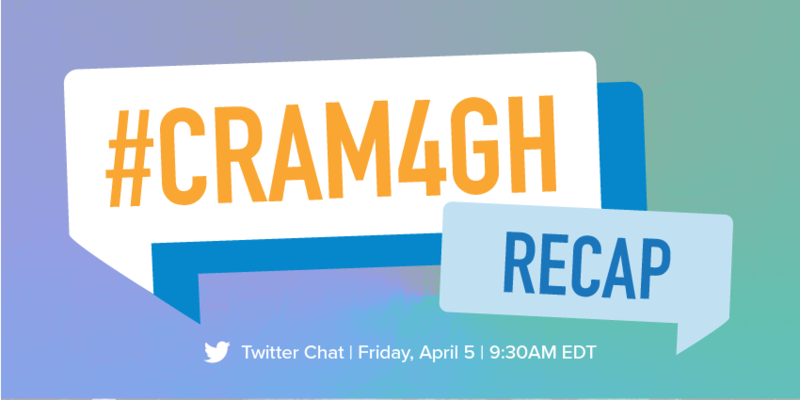 On Friday April 5th, GA4GH held a live Twitter chat on the CRAM file format for genomic data compression. Leveraging the #CRAM4GH hashtag, the discussion featured guest experts James Bonfield, Principal Software Developer at the Wellcome Sanger Institute and lead CRAM maintainer, Thomas Keane, Team Leader at EMBL-EBI and co-lead of the GA4GH Large Scale Genomics Work Stream, and Ewan Birney, Director of EMBL-EBI and GA4GH chair, who answered questions from the community about the file format. Visit the #CRAM4GH conversation reel to explore the full Twitter Chat, or view the highlights below. A file format that uses various algorithms to compress genomic data. By storing parts of a sequence that are different from a reference sequence, CRAM keeps files small and easily accessible. To start the ball rolling… there has been confusion over the years as to what CRAM can and cannot do (even where it came from). CRAM’s impact extends beyond the genomics research community. Good question Hywel. If the pipeline is predominantly using samtools/picard/GATK or their libraries (htslib, htsjdk) then it should be quite painless. If you have parts that don’t fit well, then it’s perfectly fine to use BAM and convert to CRAM at the end. Open standards ensure the ongoing integrity and quality of scientific data. I am a firm believer in freely available data for scientific research. In the future, CRAM will be smaller and faster. CRAM roadmap. 3.0 (now) -> 3.1 (archive mode; summer?) -> 4.0 (features; longer chromosomes, faster long-read support). 3.1 is expected 10-30% smaller than 3.0, depending on input data. Learn more about CRAM at ga4gh.org/cram/.